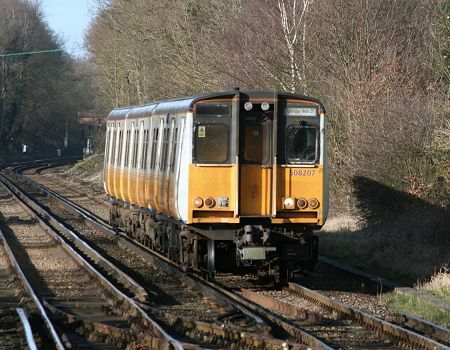 508203 at Merstham on the 12.22 Tunbridge Wells to London Bridge service on 17th April 2007. 508206, Tonbridge bound, at East Croydon on 8th June 1999. With 508207 departing for overhaul at Wabtec Doncaster on February 8th 2008 the livery of the former Connex company disappeared from the former Southern Region. 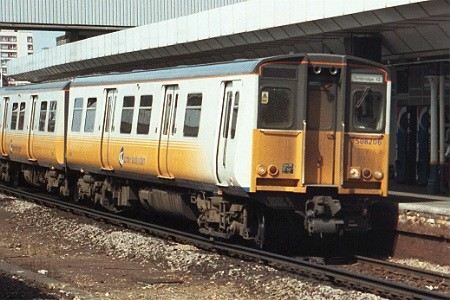 No tears were shed by passengers, nor many by staff, by the demise of the Connex South Eastern operation and the disapperance of the none too distinguished livery finally drew the line under an unsatisfactory period. 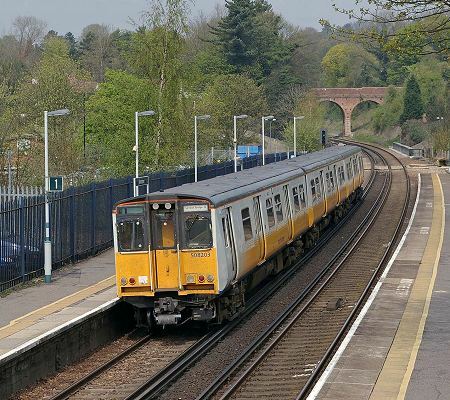 Here 508207 is approaching Edenbridge on 2nd February with the 10:03 London Bridge to Tunbridge Wells service. 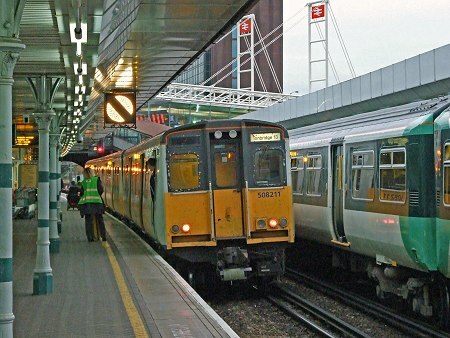 With the evening drawing in, 508211 is about to depart East Croydon for Tonbridge on 2nd October 2007.